I feel like it called me. I have always written and worked as a radio producer and journalist in my former life but gave it up to be a full-time mother to my four children. On the 4th of October, 2012, my youngest, Hamish passed away after an accident at home. He was 20 months old. The grief was all-consuming and the only way I could deal with the pain was to write. A couple of months later, I woke at 2 a.m. with this need to write a children’s story down. I’m not sure if it came from Hamish, or if I needed to write it for Hamish but it started this new journey for me. He remains my biggest muse. Congrats on your debut, FINN'S FEATHER. Tell us about it and what inspired you. Hamish inspired this story, as did my other children. In my quest to find stories about grief and loss, I become aware of a gap in the market. I wanted a story written from a child’s perspective. I wanted it to feel like a child was really at the heart of the story. I attempted many stories and nothing felt right. In 2014, I was driving home and the plot for FINN’S FEATHER came into my head. I immediately started crying, I was so emotional! I kept repeating the story in my head so that it didn’t disappear until I arrived home. Waiting for me was a feather on my doorstep. I knew then that I would stop at nothing to get this story published. Fairly short and sweet (in publishing standards). I took it to a local conference in Australia, where I live and a few publishers were very positive about it and a couple expressed interest. I knew this book had to go to a very special publisher, so I sent it to Enchanted Lion in Brooklyn. They loved it and a couple of months later I was advised they would publish it! I was so thrilled. I was even more excited when I discovered Zoey Abbott would be illustrating. I have probably written about 30 picture book manuscripts and my agent is subbing one at the moment. I’m usually working on about 5 manuscripts at once. I’m also working on a poetry anthology about grief, love and motherhood. Don’t give up. It’s tough. Find like-minded people, attend conferences, get inspiration when you need it. Most importantly, never be afraid to write from the heart. I’m struggling with this question! I’m such an open book that most people know all there is to know. I put on a brave front but really I’m a sensitive soul. Rachel Noble is the author of FINN’S FEATHER (Enchanted Lion, US/May 2018), inspired by her late son Hamish. Rachel attracted attention after she won a National writing competition, the My Child Short Story Competition in 2012 for a piece called ‘Honoring Hamish’. She was long-listed for the Hunter Writers Centre Grief writing competition and her piece is published in the 2013 Anthology. Rachel was short-listed for the 2016 CYA Picture Book Competition for her manuscript, ‘My Granny Loves to Dance’. Rachel is represented by Essie White at Storm Literary Agency. 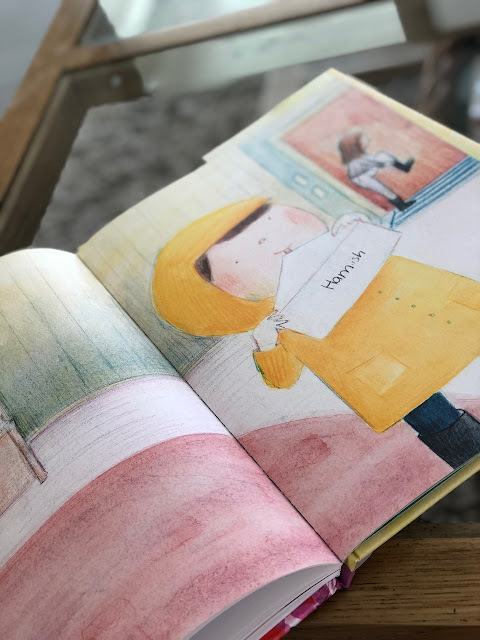 Rachel recently returned from the US, promoting her picture book FINN’S FEATHER at Ci6, ALA Annual Conference and at bookstores in New Orleans, Mississippi and Alabama. 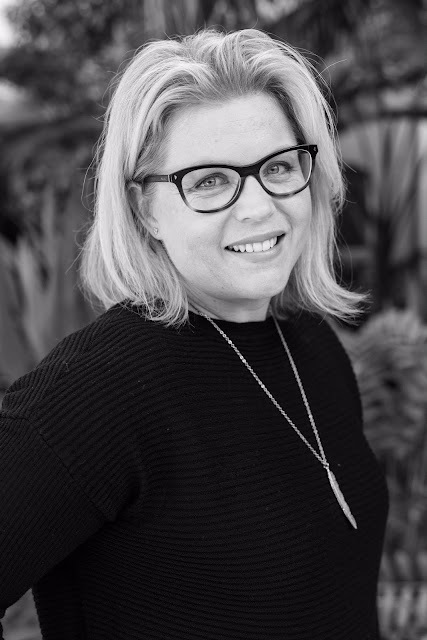 Rachel is the keynote speaker at the 2019 SCBWI Australia Conference along with her agent, Essie. Rachel is an ex-ABC/BBC Radio Producer/Presenter. She lives in Queensland, Australia with her family. I had tears reading your interview! Can't wait to read your book! It sounds like such a moving tribute to your beautiful son. Best to you, Rachel. I just lost my dad a few months ago, so even as an adult, I appreciate this important subject! What a lovely way to pay tribute, and to help other kids dealing with grief. I definitely want to read this one. Wow, I think it's incredible to touch upon such a deep topic in your book, and I commend you on your perseverance! This sounds so good, and so necessary. I can't wait to read it! This looks and sounds like a really beautiful book! This is a fabulous book...written with heart from the heart. 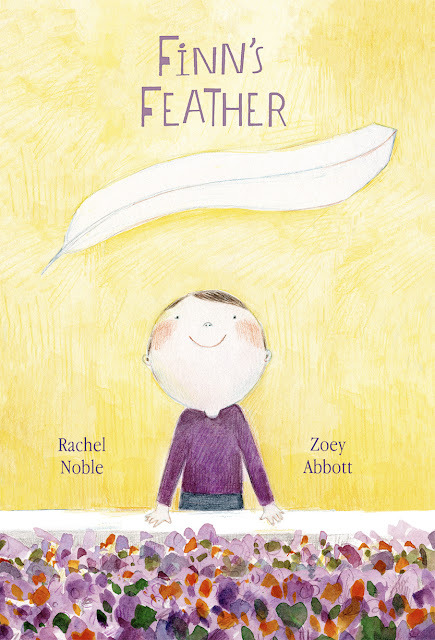 And I'm over the moon excited that I'll be meeting Rachel in person at the Australia SCBWI next February! What a beautiful story behind the story. Thank you so much for sharing. I enjoyed the interview, especially the part when you told us how the story came together for you while driving. And then the feather on your porch--an amazing sign this book was meant to be. I'm excited to read it for myself. I’m looking forward to reading your book. Knowing the story behind the story will make it even more special. I love that Hamish remains your biggest muse. My heartfelt wishes to you and for this story. My body is covered in goosebumps after reading this interview. What a beautiful way to work thorough unimaginable grief. Thank you for being brave enough to write this, it sounds wonderful and needed. Beautiful! Would love to read it! I'm sorry for your loss. A wonderful interview, the book looks lovely. sometimes we must feel great pain to create great art. this book deals with a difficult, but essential topic...can't wait to read it. This is wonderful. It's so good to find children's books that deal with difficult feelings. Can't wait to read! I checked my library, and it's there. Will put on hold as soon as I am able (I can't until I pick up my current books on hold...LOL). Congratulations to you. It looks beautiful. I'm looking forward to reading this one. Thank you for sharing!